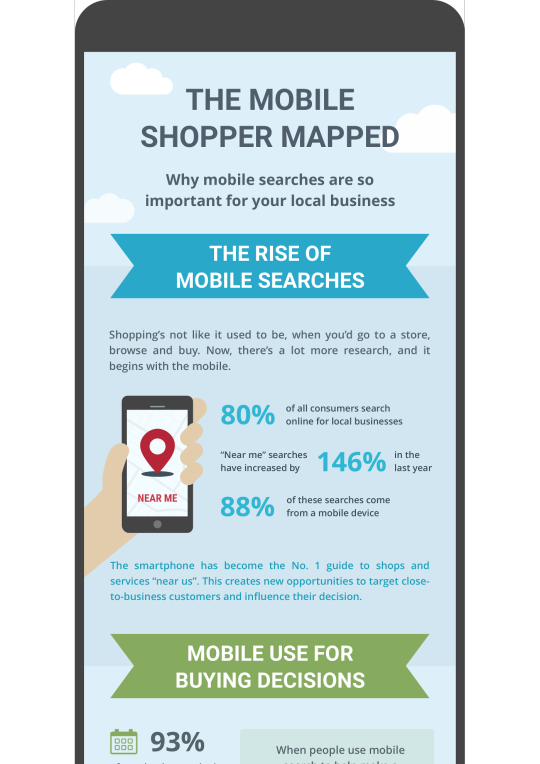 Today’s consumers plan their shopping carefully on their smartphones, initiating a new trend of local search queries. These so called “near-me searches” have tremendous significance for the local businesses found online, as consumers have a high willingness to buy, and can be influenced regarding their purchasing decision. In our infographic we illustrate for you the preconditions and benefits of mobile search today. Download the complete infographic here!